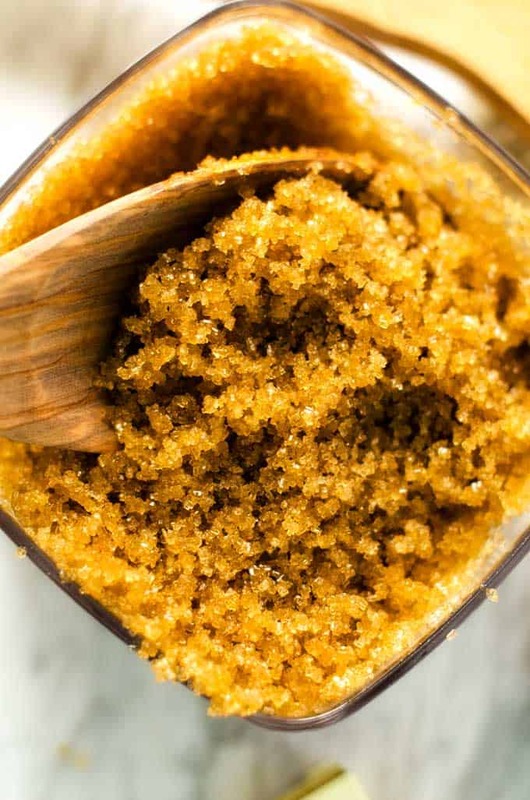 This DIY Frankincense Body Scrub is the perfect easy way to pamper yourself every day! It will leave your skin feeling soft and smooth! It is that time of year again…the time when we are all starting to think about getting our holiday shopping done. I must confess that I’m not that much of a shopper. In fact, the thought of going to the mall during the holiday rush makes me break out in a sweat. For the last several years, I’ve been guilty of taking the easy way out and giving gift cards for everyone other than the kids on my list. It is certainly an easy option, but it may not always send the message that I want. I am not a fan of getting gift cards myself, and I’m sure the adults on my list would prefer a gift that I put some thought into. This year my big focus is on coming up thoughtful gifts. And of course, what is more thoughtful than making gifts? 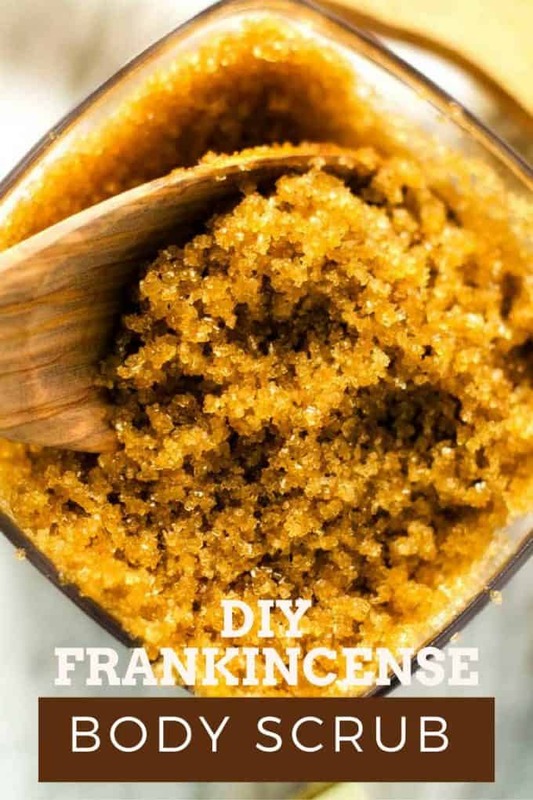 For some of the ladies on my list, I am making this DIY Frankincense Body Scrub. It is so easy to make and looks great in a simple but pretty jar! For the longest time, Frankincense has been one of my favorite scents in essential oils. I love the rich sweet citrusy scent with warm balsamic undertones. It is so invigorating and energizing. 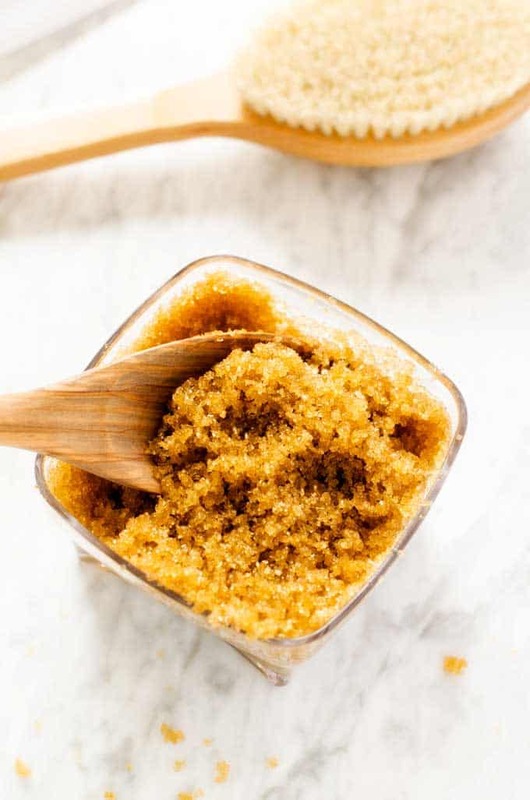 There is nothing that feels more luxurious to me than a rich sugar scrub, so why not create one with my favorite essential oil? It is perfect for in the shower or even for a quick hand scrub. I like to keep it next to the sink when I have guests over! In a medium glass or metal bowl, stir together sugar and oil. Add in Frankincense essential oil, and stir until well combined. Transfer to a glass container and store in a dark place for up to six months. This looks great! My skin gets so dry in the winter, I’m definitely looking forward to making some! I am all about making gifts for the season. I love scrubs and this one sounds like it might make a great man’s gift. Thanks for the inspiration. I think this would be a fantastic homemade gift and one I should try for myself. I love a good face scrub! I love my dry brush and I’m a total salt scrub addict! Nothing better than coming home from a workout and using a scrub to make you feel like you just stepped out of the spa! I love scrubs like this! This one is so for the season too. 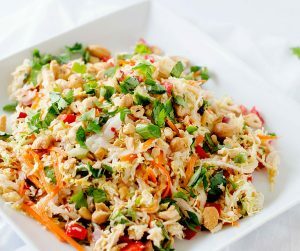 I am going to have to make this one soon. What a yummy scrub. I like that i can make my own and know it is all natural. I LOVE the smell of frankincense! I had a candle of it one time and it was so nice to come home to! Two things about holiday shopping…my goal is always to be finished by November 30th and I love making DIY gifts. So this scrub is perfect for a few people on my list! Stores that are over crowded are definitely not my jam so I especially love homemade, thoughtful gifts like this! Well, I certainly love body scrubs and anything with a citrusy scent totally gets me going! 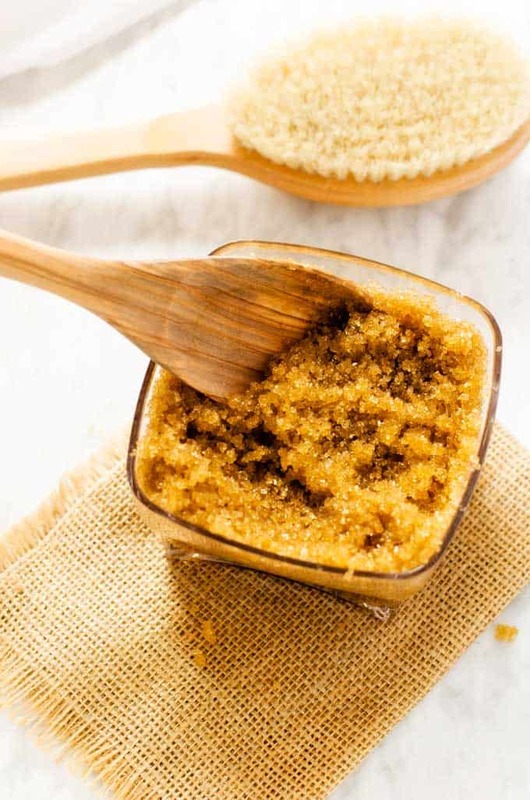 I would love to try this diy body scrub. Looks so good for my skin.. Thanks for sharing this. I love it! I am terrible about remembering to moisturize and this does the trick. I love body scrubs but I’ve never tried a DIY. You make it look so easy! I am the same way. I hope you enjoy it! Frankincense is one of my favorites for my skin. 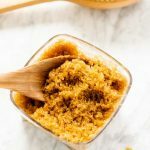 I love making my own body scrubs, and I will have to try your version. I usually use peppermint! I love peppermint too! Hope you enjoy this one if you try it. 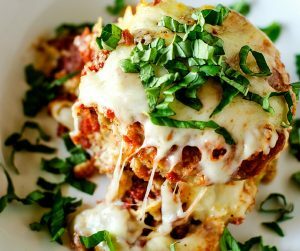 Easy to make indeed! And I bet it smells amazing! Can’t wait to try it! Frankincense is one of my all time favorite essential oils! Not only does it smell good, its SO good for you! It is one of my favorite oils too! I love this body scrub, it would make a perfect teacher gift! It would make a thoughtful teacher gift! Wendy, can you share what kind of sugar that you use in your Frankincense scrub? I used raw organic sugar. I am not sure of the brand as it has been a while.